Mark those calendars, because Joe Jonas and Sophie Turner are the next Jonas family members to get married. As Priyanka Chopra and Nick Jonas married at the illustrious Umaid Bhawan Palace in Jodhpur, India, on December 1, the save-the-dates for the couple’s in-laws Joe Jonas and Sophie Turner were revealed on social media this weekend. The Game of Thrones star and the DNCE frontman will marry next year in France. Life coach Mike Bayer received a wooden wine bottle package that read “Sophie and Joe 2019 France” carved and etched in beautiful calligraphy letters. While the Instagram Story was immediately deleted, eagle-eyed fans captured the clip. A source confirmed to Us Weekly that the pair will marry, indeed, next summer in Europe. The Jonas family, however, will have time to prepare with a break between weddings following Priyanka and Nick’s extravaganza in India. The festivities are ongoing as the couple will reportedly host a lavish reception after days of ceremonies, including a Puja, a Mehendi and a Sangeet. 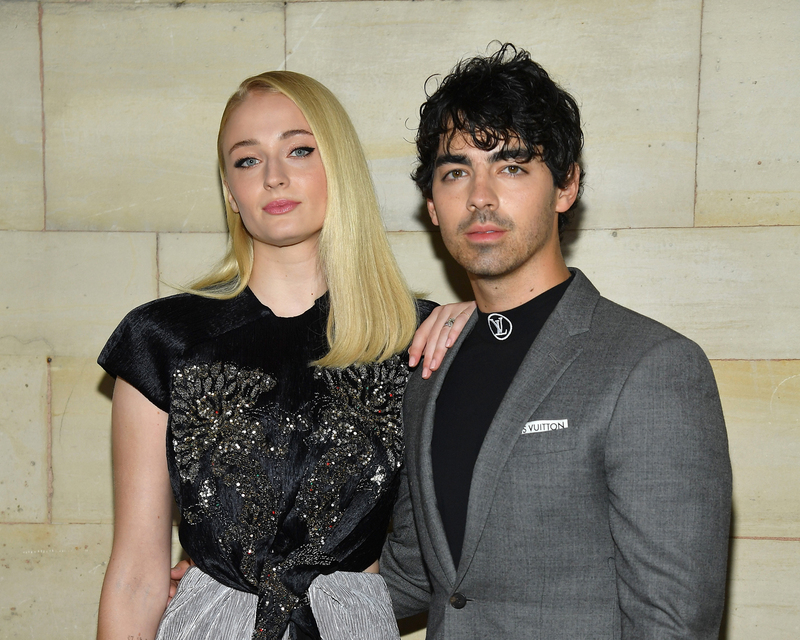 Be the first to comment on "Joe Jonas and Sophie Turner’s Save the Date Is Here: See Their Wedding Date and Location"